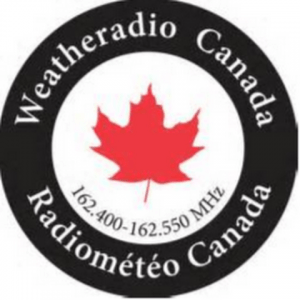 Weather Radio Canada 162.550 (MHz) VHF Winnipeg, MB (XLM538) is one of the many stations operating under the Meteorological Service of Canada, a subsidiary/division of Environment Canada. The weather information, updates and alerts are broadcasted in English and French from 230 transmitter locations across the Canadian States. The radio has its presence from the Gulf of Mexico to Arctic heavens. The network operates on seven dedicated VHF frequencies of the public service (weather) band. Specific Area Message Encoding (SAME) followed by warning messages are the most useful in unfavorable climate and drastic weather conditions which threatens Canadian every now and then. The network is available in over 90% households with the receivers. Listen Weather Radio Canada 162.55 VHF live from Manitoba. Wait as the stream loads.